7.75"W porcelain, holds a 4" x 3", 2.5" x 2.5" and 2.5" 3" photos. 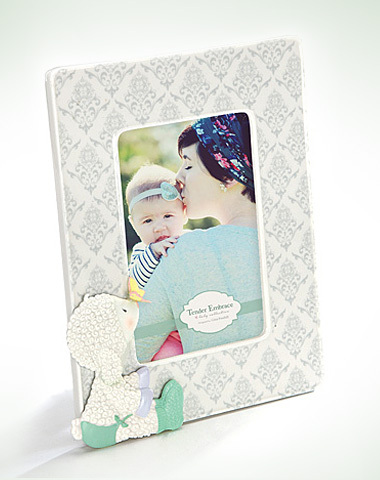 This beautiful porcelain baby photo frame has a soft tone damask decal pattern. Featuring adorable little hand-painted Lamie Pie. Display your favorite baby photos.